No product to sell? No problem. Fortunately, in the 21st century, you can make great money even if you don't have your own product. As an affiliate, you can make money by simply referring people to other products and you make a commission when they buy someone else's product. Now it becomes your job to find the best affiliate programs to promote as a blogger. So, what is an affiliate program? In affiliate marketing, you simply refer people through your affiliate link to a different website and when that person makes a purchase, you can make money. It's about as easy as that. If you are reading this article, I suspect you already know what affiliate marketing is, you just want to get some fresh ideas for where to find some unique or better-paying affiliate programs. Well, today you are in luck! I've been in the affiliate marketing game now for over 10 years and so I have a few ideas to share. In addition, I've searched all over the internet (so you don't have to) in order to find some hidden gem affiliate offers that can help pad your pockets a bit more. How to Chose a Product to Promote? I don't want to scare you off, but I suspect there are over a million different affiliate programs in the world. Think of how many millions of companies there are in the world today…now consider that many of these companies offer their own affiliate structure (whether publicly or privately). As an affiliate marketer and blogger, you can choose from any of these programs! But having so many choices can be overwhelming, and therein lies the problems. With choice can come uncertainty if you are selecting the right affiliate marketing program for you. As a result, I want to spend just a brief amount of time sharing how I think bloggers and other website creators should go about selecting an affiliate program best suited for them. First, you need to select your niche. If you already have a website and know what your niche is, go ahead and skip this section. However, if you are just getting started as an affiliate marketer you may still be deciding what type of audience you want to attract and what niche you want to operate in. I've written in-depth about how to go about selecting a niche here. 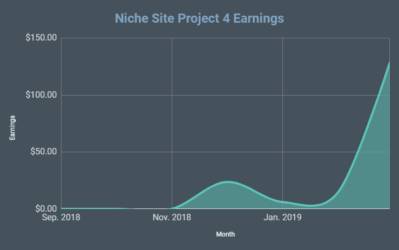 Is there money in the niche? Do you have knowledge or experience in the niche? Are you interested (even just a little) in the niche? Is there low competition opportunities in the niche? (In particular, are there low competition keywords that you can rank your site for in Google). When I personally analyze things, I think the first and the last points are most important: money in the niche and low competition opportunities. I'm less concerned about my own interest level and experience. However, if you have both interest and experience, this could be a GREAT way to narrow down what niche you should target and could give you a leg up on your competition. Now, one final point before I dive into revealing some of the best affiliate marketing programs on the planet. How should you go about promoting products as an affiliate? Build an email list and promote products through your email list (my second favorite). Build a large audience on social media (Facebook, Twitter, Pinterest, etc) and drive your social following to your website or get them to click on affiliate links directly from your social channels. Youtube. Create unique videos reviewing products and leave your links below the video or in the video itself. On the phone. Drive traffic through any of the above means or through paid sources, get people on the phone, and close the “sale” over a voice call. In person. You might need to get creative here, but sitting down one on one with someone and helping them make a buying decision through your affiliate link can absolutely work. Paid Traffic. Google Adwords, Facebook, and about a thousand other sources exist to drive traffic to your site. Find a way to pay less money in ads than you make in commissions and you've got a money machine. Podcasting. Podcasting is great to build an audience; however, it can be difficult to get people to “click” on affiliate links while they are listening. 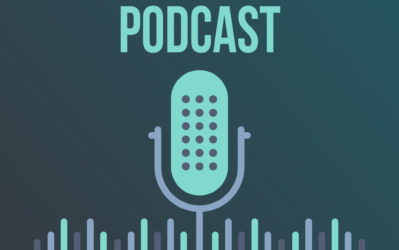 Don't expect high conversion rates, but do expect your audience and influence to grow with a podcast. You may decide to just promote through one of these methods or all of the methods. The options and opportunities are really limitless. Now that we've laid the groundwork, let's dive into some of the best affiliate marketing programs out there! The truth is that there is no specific affiliate program best suited for all bloggers. As discussed above, you need to figure out what niche you plan to go into and then make your affiliate program selection based on that. As a result, I'll share some general affiliate programs for bloggers (and others) that will work in a variety of niches. 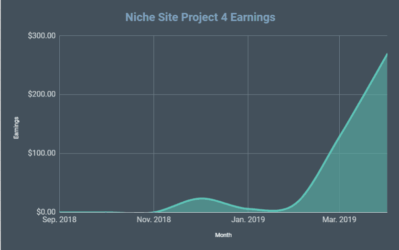 Then I'll “niche down” and share some great affiliate programs for specific niches like: travel, hosting, online marketing software, and much more. Amazon is the big one. If you are talking about just about any type of physical product on your site, then Amazon probably sells it. This is the affiliate program that I use mostly on my own niche sites. Like Amazon, WalMart sells all kinds of physical items, so you have plenty of products to choose from when you are looking to promote. 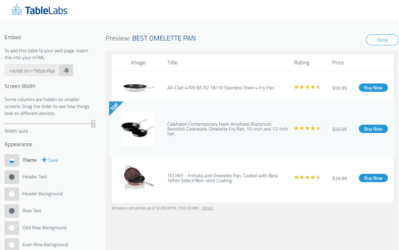 In my experience, WalMart doesn't convert quite as high as Amazon, but you may be able to find some unique products or better deals on WalMart depending on your niche. Note: Walmart follows a three day attribution model. I have used the eBay affilaite program in the past…a LONG time ago. eBay can be a great option if you are looking to sell collectibles, unique items, or used items. 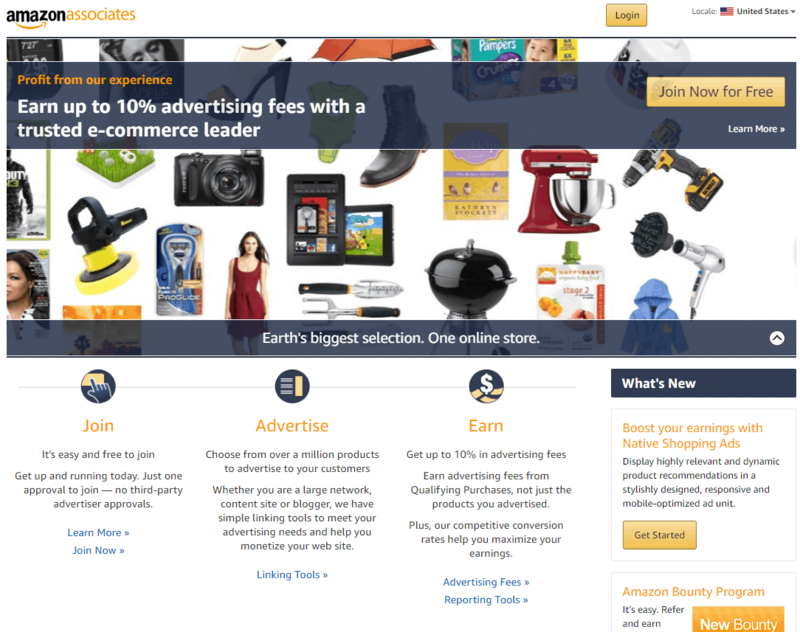 Yes, eBay does sell new items, but for most of those I would recommend using the Amazon affiliate program. You earn 50%+ of the revenue that eBay receives. So, it's a bit complicated to calculate how much money you might actually make. In general, eBay charges roughly 10% to sellers when they sell items on eBay. As a result, your commission would be roughly half of that 10% that eBay makes. Here's eBay's legal language and more details. For any Qualifying Transactions, you receive a percentage of the revenue eBay Inc. earns from that purchase, based on the category-level commission rates shown below. 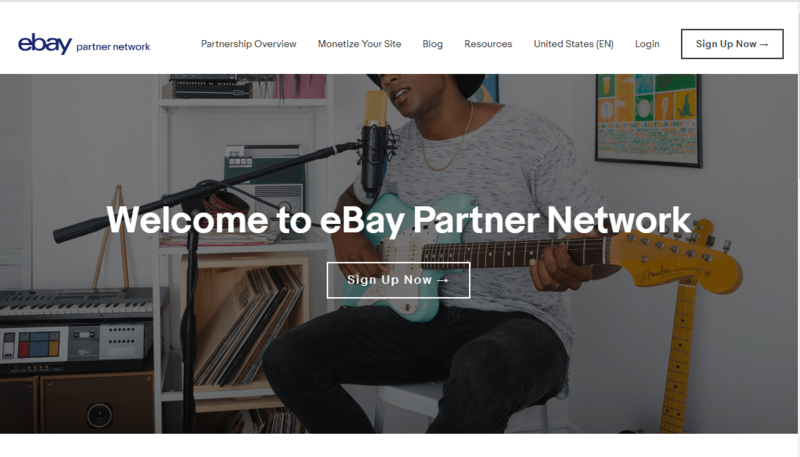 Note that there are certain items and categories for which eBay Inc. earns low or no revenue; in such cases, you will therefore earn low or no revenue share. These items and categories may include, but are not limited to gift cards, items sold by charities, and special promotional deals. Jet.com focuses on selling food and household items primarily. You can find everything from snacks to electronics. So, while it is a general marketplace, you won't find the selection quite as large as either Amazon or Walmart. The commission rate for Jet is 2.5%, and the affiliate program is operated by Rakuten. AliExpress is a cool marketplace! You can find all kinds of items there directly from manufacturers for CHEAP! The reason the items are so cheap is due to the fact that they are typically coming directly from China. As a result, I wouldn't refer typical “retail” shoppers here. Most of the items ship from China and can take 2 to 4 weeks to arrive. So, if you use the affiliate program for AliExpress, you need to be sure you are referring visitors that are aware of this wait time. However, if you want really inexpensive items, AliExpress is a huge marketplace that has just about everything. Many people use AliExpress in some capacity to dropship or to test out dropshipping ideas. In fact, here is a cool WordPress Plugin called AliPlugin that will automatically create a “store” with your AliExpress affiliate ID built in where you can quickly start selling thousands of products. Check out AliPlugin here. ( <—Yep, that's my affiliate link! I told you I know how to do this stuff 🙂 ). AliExpress doesn't make it very easy to find, but they pay commissions rates starting at 8.5% and up to 10% based on volume. VigLink is a unique way to monetize your unmonetized content and more. VigLink has the technology to understand when you've mentioned a product and will AUTOMATICALLY link to the highest paying affiliate offer! You can also manually build links and share them on your site or across other channels. The concept is pretty cool, especially if you have lots of content that you feel could be monetized better. 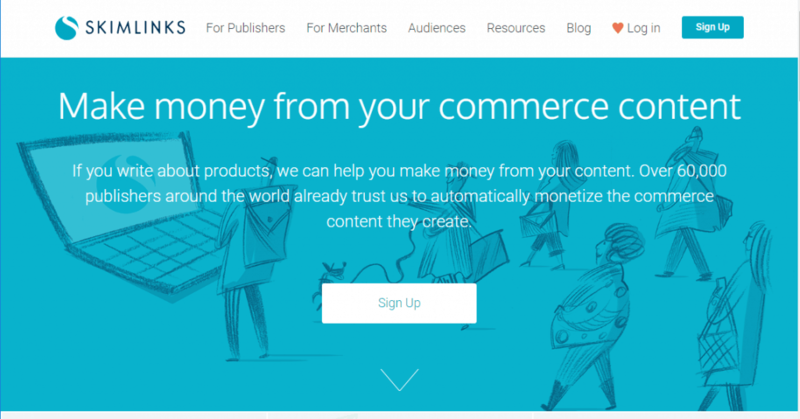 This makes VigLink a great affiliate program for bloggers. An alternative to VigLink is SkimLinks. SkimLinks works in a similar fashion in that it turns your mentions of products into affiliate links that you can make commissions from. SkimLinks partners with thousands of merchants across the internet and will do their best to get you the highest commission rate possible. Because they are a preferred partner with many of these affiliate programs, you can sometimes earn more by using SkimLinks than applying directly to the program. CJ.com Commission Junction by Conversant is one of the oldest and most established affiliate networks. I personally signed up with them probably around 2007. The commission rates vary by vendor. But if you want to get connected with some very well established brands you might need to go through CJ.com. ShareASale.com ShareASale is another well-established affiliate network that has been around for a long time. They have offers ranging from software tools (like Opt In Monster) to physical items. A good network to find both general merchandise and software to promote. Impact Radius Impact claims that they are not an affiliate network. And that may not be all that they do, but they do admit that part of what they do is match partners with affiliates. Many established brands work with Impact including Uber, AirBnB, TicketMaster, and many others. AvantLink Avant Link works with thousands of brands that you can choose from as an affiliate including: REI, and many others. You can see a full list of merchants they have to choose from right here. Pepperjam PepperJam is another established player in the market. They work with large companies like eBates, RetailMeNot, Groupon, and many others. Commission rates vary by vendor. Rakuten Rakuten has to be one of the largest and possibly the most established affiliate network on the planet. Formerly called LinkShare, they are extremely reputable and reliable for providing great merchants to choose from. 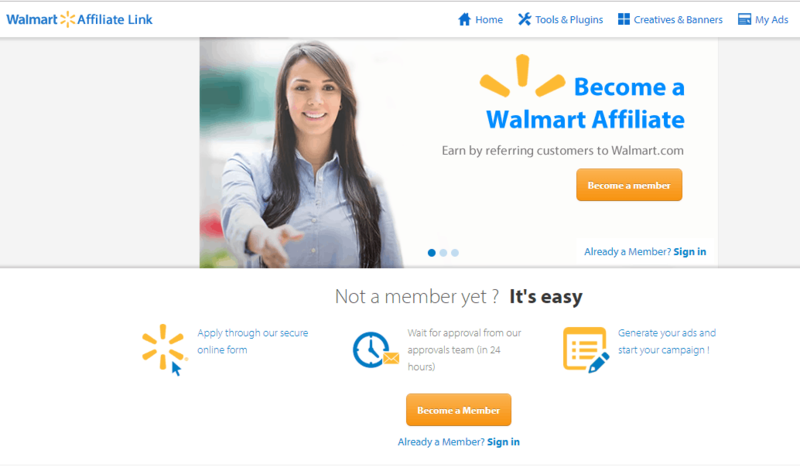 Some of the merchants for which they run their affiliate programs are: Walmart.com, Guess, Macy's, Sephora, Spartan, and MANY more. AWin Awin is another established affiliate network that focuses on reputable retailers. With over 13,000 merchants to choose from, you can't go wrong. Clickbank Clickbank has been around a long time, but they differ from many of the networks I've mentioned previously. Clickbank primarily focuses on digital products only. As a result, you get reputable and less than reputable offers available ranging from software to online courses. Tread carefully that you are promoting things that are good for your audience here. You may have to wade through lots of “crappy” offers before you find the good ones (and there are good ones there). PeerFly PeerFly has over 2,700 offers to choose from. They are a CPA (Cost Per Action) based affiliate network. In other words, they have a lot of offers that pay out when you generate leads or email addresses to the merchants. FlexOffers Flex Offers has over 500 vendors to choose from, many of which are CPA offers. However, they also have many traditional retail offers as well. MaxBounty Max Bounty is a dedicated CPA network that prides itself on maximum payouts. You can chose from brands like 99designs, CheapOair, and McAfee. WideMarkets WideMarkets is another CPA network that has lots of brands to choose from. AffiBank Affi Bank looks like the younger sibling of Clickbank. A quick look shows that they have very few offers and they look spammy to me. I would personally avoid. LeadBit Lead Bit appears to be a high-quality CPA network that is based in the UK. Top notch technology and reporting. Affiliate Partners prides themselves on being a high paying CPA network that finds those unique or hard to find offers. Whether or not this is true, I'm not sure. However, they do appear to be an established player. Crak Revenue claims to drive over $40 million in sales to partners a year and has over 1,000 offers to choose from. However, they appear to mostly promote adult type products and websites. 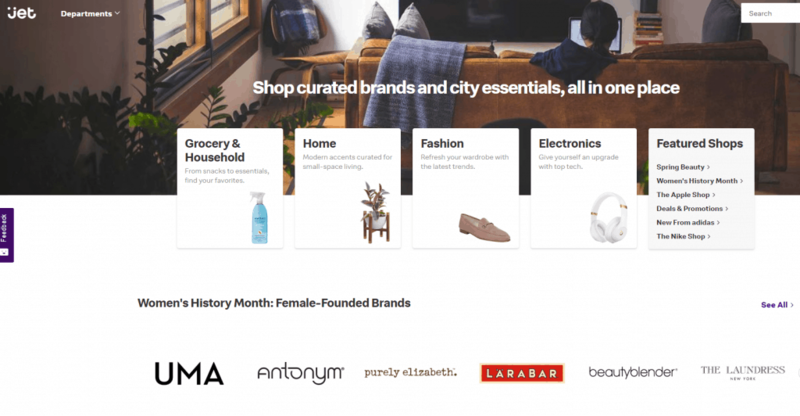 Based in Australia, this affiliate network appears to focus mostly on retailers. A few companies they work with are: AirBNB, Lululemon, and Virgin Australia. I have not used Ad Combo in the past; however, this CPA network has a web design that look a little dated and the offers they have may lean toward the “sketchy”. My intuition could be wrong here, but that's the sense I get by reviewing their website. Revi Media appears to have lots of lead generation or pay per call opportunities. These offers range from Mortgage and finance to Solar and Medical. Appears to be well-established and reputable. 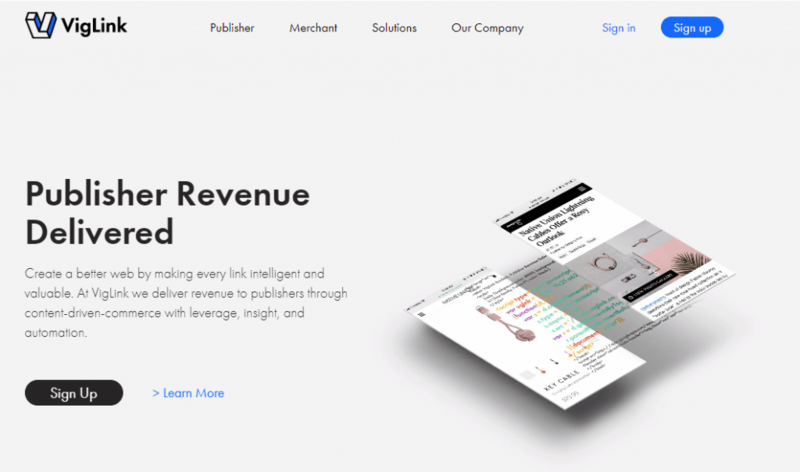 Revenue Wire appears to both be an affiliate network and a payment processor, which is kind of interesting. They focus primarily on CPA offers including: cost per click, cost per lead, cost per sale, and more. Global Wide Media (which acquired NeverBlue Ads), has thousands of CPA and other offers to choose from. With an international footprint, there is likely something you can find to promote there. Based in the UK, but with an office in the US as well, this affiliate network focuses primarily on Health and Beaty products. This is a profitable niche and More Niche appears to have lots of offers available. 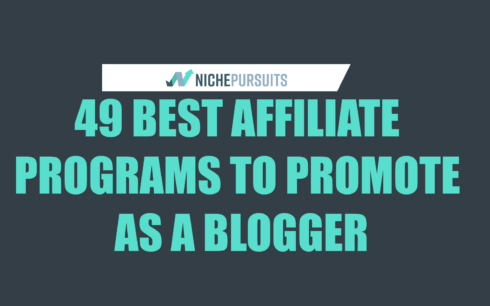 Overall, this list above literally just scratches the surface for all the type of affiliate programs and networks that are available. If you haven't found your niche yet, then browsing the above list can give you a general idea of what types of offers are available and perhaps even help you narrow down what your interst level might be in working with some of these programs. However, if you are already established with your blog or business, then Google is going to be your best friend in finding the best offer to promote. Search and find my friend! Now that I've given you a quick overview of the more general shopping and affiliate programs and networks that are available, I want to highlight a few affiliate programs that are available in some of the more popular categories such as travel, hosting, software, and more. If you have a blog or are considering starting a blog in the travel space, there are lots of different types of products that you can promote as an affiliate. Starting a travel blog is a great way to go since people will ALWAYS be searching for more details about destinations and vacation ideas. Booking.com 10 – 25% You can use booking.com to promote all kinds of hotels and other accomodations for vacations. Well established and millions of properties. You get paid 10 to 25% of Booking.com's profit. AirBNB.com $25 – $75 You can refer either guests or new hosts (property owner's) to AirBNB and earn a commission either way. Looks like you currently get paid a fixed fee of $25 for each referred guest and $75 for each new host. TripAdvisor 50% With Hotels, Flights, Restaurants, Vacation Rentals, Cruises and more as part of Trip Advisors portal, you can earn money for just about any type of travel you can imagine. With an established brand, this is a great general travel affiliate program. (Managed by CJ.com). Sandals Resort 4% Sandals Resort offers tons of resort locations and is a great go-to affiliate program if you have a travel blog or audience. This is also managed by CJ.com. Travel Credit Cards Varies If you are talking about travel, then air miles or points credit cards is also something in high demand for travelers. Consider recommending credit cards that fit your audience. If you are in the online marketing space, you know that hosting affiliate commissions can have a large payout. However, not all web hosts are created equal. So, be sure you are recommending quality hosting companies to your audience. BigScoots.com 90% of 1st Month I recently switched all my sites (including the site you are on right now) to BigScoots.com and I couldn't be happier. For that reason, I recommend their affiliate program. It may or may not pay the highest, but their product is top notch, so it's worth becoming an affiliate for that reason alone. Kinsta.com $50 – $500 + 10% Monthly Kinsta is a great hosting company. I was using Kinsta for all my sites until I discovered Big Scoots (which is cheaper and faster). However, Kinsta was head and shoulders above the hosting company I was using previously (which shall remain nameless). Kinsta is a great company with great customer service. You can join Kinsta here. BlueHost.com $90+ Bluehost is promoted widely by affiliates because it's cheap and it pays a high dollar amount in commissions. (You can earn more than $90 per signup if you negotiate with an affiliate rep). 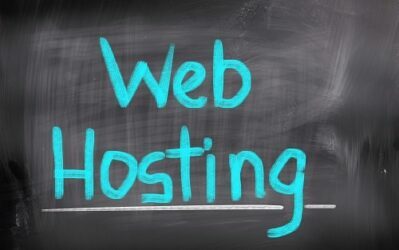 Bluehost was the first webhost that I used and I do still think it's okay to use if you are just starting out. Test your ideas on BlueHost and if your website starts to show some progress, move over to a better host like Big Scoots. HostGator.com Up to $125 HostGator is another well established hosting company that is solid. They have plans of all sizes, so you can start small and grow with them. Their affiliate program is another high dollar program that is pretty popular with affiliates. WPX Hosting $70 to $100 You make more based on a tier system for the number of referrals. WPX is another great dedicated WordPress Hosting platform that is worth recommending. The niche that I know best is the online marketing niche. This really ranges from keyword research tools to graphic design tools and services to WordPress Plugins. There are many thousands on digital marketing software tools available, so it's impossible to list them all. Long Tail Pro 30% recurring Full disclosure: I'm the creator of Long Tail Pro. However, I sold the company 3 years ago. You can make great commissions promoting this keyword research tool that both beginners and advanced marketers need. SEMRush 40% recurring SEMrush is a great tool. You can see my full review here. I love the affiliate program because it pays a recurring commission…forever. In order to sign up for the affiliate program, go to BeRush.com. Jungle Scout Varies on product While Jungle Scout isn't a tool that all online marketers will want or need, it does appeal to Amazon sellers. So, if your audience consists of anyone that might be selling products on Amazon (as a seller, not as an affiliate), then Jungle Scout is a great tool you should be promoting. 25% recurring Merch Informer is another niche software tool that general marketers will not find useful. However, among people creating and selling t-shirts through the Amazon Merch Program, Merch Informer is THE go-to tool. The great part is that it pays recurring commissions and the plans start out really cheap, so it converts well. Design Pickle 15% recurring Design Pickle is not technically a software tool, but I hope you don't mind me squeezing it in here. Design Pickle is a great monthly recurring commission affiliate program. Users pay monthly to have unlimited graphic designs done. I've written an entire review right here. Helium 10 25% recurring Helium 10 is another software tool that was created for Amazon Sellers. This tool is super useful for Amazon keyword research and product research. You can read my full Helium 10 review here. This is a nice recurring commission product to promote as an affiliate. ClickFunnels 40% recurring Clickfunnels has a great affiliate program that pays recurring commissions. This tool also has a broad reach for any potential small business doing marketing online. Create landing pages, build funnels, sell products or courses, and you can potentially ditch your whole website for Clickfunnels (that's their claim). Read my ClickFunnels review here. Podia 30% recurring Podia is an online teaching platform where you can host your course. Selling a course is one of the easiest ways to get started making money online (assuming you have something valuable to teach). The Podia affiliate program pays to get course creators on their platform. Thrive Themes / Architect / Leads 50% recurring What started as Thrive Themes has evolved into an entire “Thrive” business over the years. You can now promote (and earn recurring commissions) on not just themes, but Thrive Architect, Thrive Leads, and Thrive Apprentice. KDP Rocket 50% only pays a one-time commission, but the conversion rate of visitors to buyers is pretty high for this niche specific software tool. Publisher Rocket (as it's now called) serves the audience of potential authors doing keyword research for the Amazon Kindle marketplace and more. Elegant Themes 50% If you have an audience of internet marketers or small business owners, then you know that everyone needs a website. Elegant Themes are great looking and are a well-established company. Again, I could easily add another 100+ software affiliate programs, but I think this is a good sample. Based on Google trends and other search criteria that I've researched, there are several other niche affiliate programs that are popular. Rather than go through each niche and list out several options, as I've done above, I'll simply list the niche and teach you how you can find the best affiliate programs. That should turn up plenty of affiliate programs that you can start using to monetize your blog. Now if you do have a product to sell, you should definitely create your own affiliate program! You can use an affiliate network like ClickBank, ShareASale, Rakuten, or many others that I've mentioned above to help you manage and run your own affiliate program. Then you can start recruiting your own army of affiliates to start selling your products for you. What do you think about the list above? Do you feel like there are other affiliate programs or networks that I should include? Overall, I hope you've found this information useful on your quest to find the best possible product to promote for your blog or niche site. There are a lot of programs for making the money. Throught this article I found other affiliate programs I’ve known before. Thanks for your contribution. Thank you for including WPX Hosting`s affiliate program in your article. Our affiliate network is expanding every day with new partners eager to promote the fastest WordPress Hosting. If you need anything, do not hesitate to contact us, we are 24/7/365 ready to assist you via Live chat. Excellent article. Actually, last year I wrote a huge post around the same topic which covered over 100 best affiliate programs in all kinds of industries including travel, fitness, marketing, real estate and so on. Even after writing such a huge post, I still find new programs in this post, so you’ve done a great job! For me, it’s always the “web hosting” industry which works like a charm. There are so many hosting sites that offer you excellent commissions. What you said about Bluehost is true, I get paid around $100 for every signup. And there are very few bloggers and affiliate marketers who know this insider tip: talk to the affiliate manager to give “extra commissions” for successful signups and you’ll most probably get best rewards. Simple as that. I’ve tried and still promoting web hosts like WPX hosting, Bluehost as they both pay well and they also have a very good tracking system. I found SiteGround tracking not as good as Bluehost or WPX hosting. So the faster you try and test different affiliate programs, the better it is for you to find the “right affiliate products” that you can use to make more money online. Thanks for sharing the post with us Spencer, keep posting more. Can you point to some examples of real people who built real businesses on affiliate marketing? Awesome in depth post with just about every worth while platform. Also loved the fact that you talk about using the affiliate search query that many are not talking about these days. That being “Niche/Keyword” + affiliate program. I have been using this for quite some time and it has helped out a lot. Anyone can find “under the radar” and popular programs to promote pretty easy. Thank you for sharing this informative article. I learned new things from you. It helped me a lot and I hope that it will also help others. I appreciate your efforts.